“I expect all the relevant bodies to take matters into their own hands. We are not a banana republic." 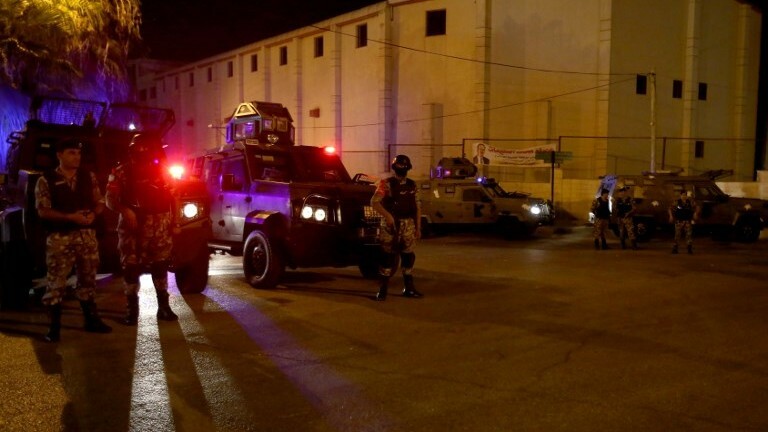 In an incident that was kept quiet for almost 11-hours as per a gag order issued by Israeli military officials...kept quiet as a “precautionary measure” out of fear for the safety of diplomats and security officers inside the Israeli embassy compound in Amman, Jordan...last Monday, July 23rd... the public was finally informed that two Jordanian nationals had been shot and killed...one dying on scene and the other dying hours later at the hospital...after an attack occurred in a residence adjacent to the Israeli embassy complex...a residence where the director of embassy security lived. And while injured in the attack was the security officer on scene, little media coverage was given to this story because the story behind the attack is bigger than the attack itself. Briefly, the assailant...Mohammed al-Jawawdeh, a 17-year-old Palestinian from Amman... was sent by his father to the heavily guarded Israeli embassy compound to deliver some furniture to one of the adjacent residential quarters...when according to both Israeli and Jordanian authorities while doing so, al-Jawawdeh got into an argument with the Israeli security officer present...identified only by his first name Ziv...and attacked him with a screwdriver...attacked him in what Israelis believe was a premeditated attack no matter the Jordanian claim that it was over a late delivery. And in an attempt to dodge al-Jawawdeh's screwdriver, the Israeli security officer pulled out his gun and rightfully shot the Jordanian youth to death. And a second Jordanian, 50-year old orthopedic surgeon and apartment landlord Dr. Bashar Hamarneh, who reports say "just happened" to be in the residential quarter at the exact time of the shooting, was wounded in the ensuing gunfire, later to die of his wounds. 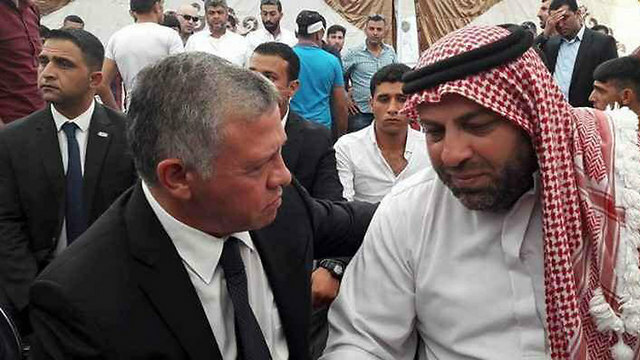 But instead of condemning the attack on the Israeli security officer by one of his own, King Abdullah's deputy and head of the Royal Hashemite Court, one Fayez Al Tarawneh, offered official condolences on behalf of the king to the family of the young man killed. 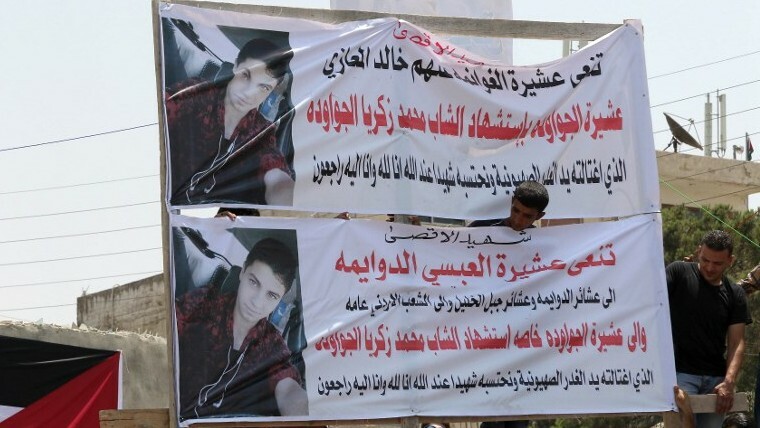 Remember, if the director had not shot al-Jawawdeh, the director most likely would be the one dead. And to make matters worse, King Abdullah himself, accompanied by Prime Minister Hani Al Mulki, attended the funeral for al-Jawawdeh and visited with his family afterwards. In fact, the victim's father told the media present that the king told him that "Mohammed is like a son of his" and that he promised to defend him in front of international courts. Shades of when Obama said that if he had a son he would look like Trayvon Martin...birds of a feather no doubt. But there is an interesting bit of information being left out by the media about the Jordanian who died at the hospital, as in that Dr. Bashar al-Hamarneh is the cousin of Mustafa Hamarneh, King Abdulla II's most senior and trusted advisor. 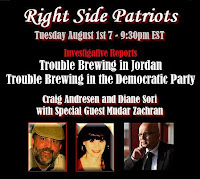 And why do I mention this, because also going unreported is the fact that there is a movement underway in Jordan to peaceably topple the Abdullah government as he is no friend to the Palestinian-Jordanian people who make up 60% of Jordan's population, no friend to Israel, and no friend to America. 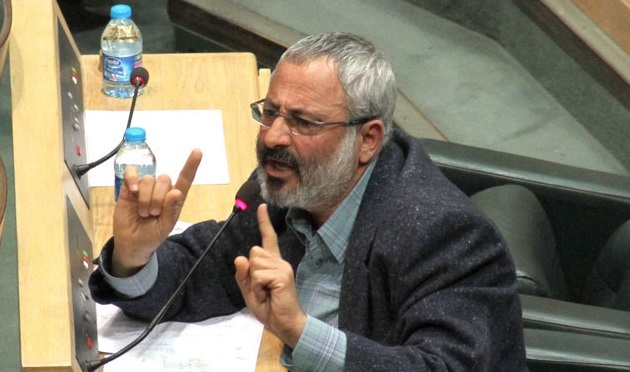 In fact, Jordan has been the victim of a rising number of homegrown terrorist attacks and security incidents because the king is either unable or unwilling to institute substantive socio-economic reforms, end corruption, and increase citizens’ rights as he is too busy being the willing catalyst that keeps the Palestinian conflict going and hence peace from being brought to the region. And dare I say that the Jordanian military will also be happy to see Abdullah gone. More on all this in a bit. To continue...know that the wounded security officer immediately reported the incident to Jordanian authorities which saw Jordanian police arriving at the embassy to block all access roads in and out of the embassy as they started an initial investigation. And after the embassy personnel reported the incident to the Foreign Ministry in Jerusalem, Israel declared a state of emergency and all embassy diplomats and staff were instructed to go to the embassy compound to prepare for a possible evacuation back to Israel. And while this was happening, Jordanian authorities demanded to interrogate the security officer and tried to prevent him from leaving the country even though it was obvious that the shooting was justified...justified no matter that early Jordanian reports claimed that al-Jawawdeh did not attack the guard but was shot during an argument between the two. Of course Israel refused what would have been an off-site and closed interrogation, but did allow Jordanian police to secure a statement from the security officer, but to do so in the presence of Israeli diplomats. And this was allowed even while knowing that the man in question had diplomatic immunity and as such was immune from both interrogation and detention under the Vienna Convention...in other words the security officer was willing to speak as he had nothing to hide as the facts spoke for themselves. Once his statement was taken and but a mere hour later, the entirety of the embassy staff boarded a vehicle convoy and headed home to Israel. But doesn't it seem odd that the entire diplomatic staff of a heavily fortified and armed embassy would be the recipients of what amounts to a forced evacuation from a country they are supposedly at peace with and whom they share security interests with. And doesn't it seem odd that we are being led to believe that it's all because of a 17-year old with a screwdriver...indeed it does. But know that the evacuation has nothing to do with said kid or a screwdriver but everything to do with what I believe is uncovering a traitor in the king's midst...a traitor whose actions could help lead to the king's downfall if the whole story became known. So it can be seen that the embassy incident, at least on the surface, appears to have worked in Abdullah's favor no matter that going unreported is Jordanian public outrage over the fact that Abdullah allowed the security officer to leave...a deal of sorts that allowed Israel to bring its people home alive in exchange for the removal of said metal detectors and cameras. And following the staff's safe return home we see the media trying to excuse or downplay the embassy attack as either an unjustified attack on an innocent youth or as an isolated reaction by a religiously devout young man to the metal detectors and security cameras... equipment installed by Israel in response to last month's terror attack that saw three islamists killing two Israeli guards. 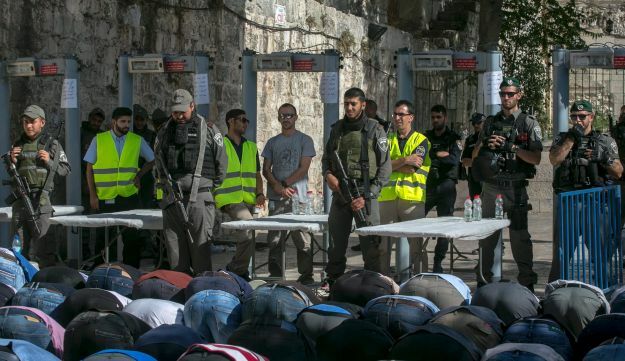 Claiming that the metal detectors negated a pact under which Jordan is the muslim custodian of the comings and goings of those visiting and praying at the mosque, Waqf religious leaders called for muslims to boycott the mosque and hold prayers outside in the streets. 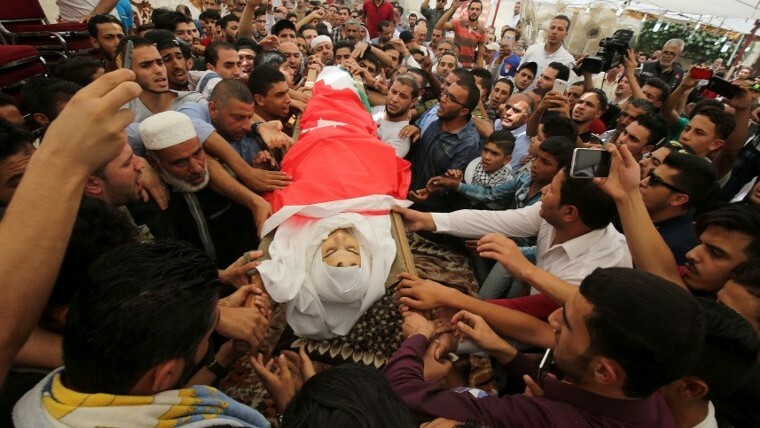 Calling for peaceful protests...which we know are never peaceful when islamists are involved...these week long protests rife with violence and altercations with Israeli police ended with a Palestinian man sneaking into an Israeli West Bank home and killing three Israelis sitting around the dinner table. And yet much to everyone's surprise, Benjamin Netanyahu acquiesced to what appears on the surface to be Abdullah's demands...but was that really why he did what he did...I think not...for while Jordan can now publicly 'save face' over their complicity...yes complicity... in the Israeli embassy attack...the stage has been set for Abdullah's possible removal from power and clear Israel of having any hand in it. But before we delve into that we must revisit Dr. Bashar al-Hamarneh, the 'supposedly' innocent man caught in the crossfire in the security director's apartment. First we must ask why was he there...was he just a friend of the director there on a visit; as landlord of the apartment was it he who let al-Jawawdeh in to do his scheduled delivery; or was the good doctor working in secret with the director against the king...a king many say has no love for his own people. And while at this point in time no conclusion drawn can be thought of as definitive truth, it is odd that sites I researched and photos of the doctor that I saw yesterday are either redacted or have been removed from the search engines today. 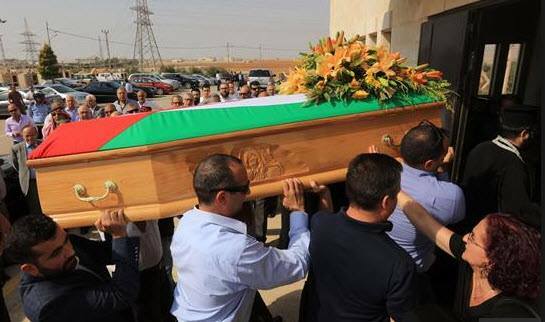 And this is the only photo of his Christian funeral I could find after many hours of searching...surprisingly the doctor was a Christian as is his cousin Mustafa (there are roughly 100,000 Palestinian Christians living in Jordan). So I offer two possibilities that could answer some questions and fill in some blanks that both the media and the king seem to be trying to hide and trying to silence. Possibility one: remember that Dr. Bashar al-Hamarneh was the first cousin of Mustafa Hamarneh, the king's most trusted senior advisor, and know that Middle East family dynamics dictate many family gatherings. During one of these family gatherings could words said by his cousin been overheard by the doctor...a doctor not a fan of the king and a member of the opposition perhaps...and that the doctor went to the apartment to pass on to the director of security some critical information regarding a comprise of Israeli security within Jordan; to give him much needed Jordanian security protocols or lack thereof; or even to pass on information concerning the king and his role in the Palestinian attacks happening within Israel itself. In other words, was Dr. Bashar Hamarneh himself an operative for Israel, was he overheard by the Jordanian young man passing on information to the Israeli, a fight ensued between he loyal to the king and the others, a stabbing followed, and a gun was fired leaving two dead...with a wound inflicted in such a way that it would lead to the doctor's death...a must to keep his identity and mission secret and safe. Remember when I said that the king's own people are no fan of his no matter the staged rallies televised 'supposedly' in his support...no matter that Abdullah is being portrayed as a Westernized modern monarch 'supposedly' duly-engaged in the fight against terrorism... well let it be known that the Abdullah we see in front of the cameras is very different than the Abdullah lurking behind the cameras. How so...Abdullah supports and empowers both the Muslim Brotherhood...whose global headquarters are but a mere three miles away from his own palace...and the killing machine known as ISIS whom he supplies with equipment and monies...and has done so for many years. And no matter diversionary media reports or photo-ops to the contrary, King Abdullah II is no friend to Israel for his wish is to keep the Palestinians in question a problem for Israel alone to deal with so that he does not have to, for Abdullah has no desire to absorb the Palestinians back into Jordan...as the king does not want to have to feed, clothe, shelter, and educate at great expense to Jordan a now uneducated and militant people even thought they are actually fellow Jordanians themselves. And why...because Abdullah's loyalty above all else is to his self-perceived power and love of money fueled on by an innate sense of greed and his longing to be a key 'player' on the world stage. But how can one be a key 'player' when one turns his back on his people, and when one's own military questions and keeps one eye open in regards to any decisions he makes...simply they cannot. And while over the years many articles have been written about Abdullah's ties to both the Muslim Brotherhood and to ISIS..no need to rehash those specifics at this time...in fact I too have written about those ties which you can read about here: A Letter, a King's Words, and a Truth That Must Be Told...and here: King Abdullah...a Wolf in Sheep's Clothing...but what is critical now is the fact that those he trusts most might possibly be working against him for they know truths the media dare not speak. So where am I going with this...how do these scattered puzzle pieces start fitting together? Perhaps the king's own advisors are not to be so trusted as he thinks...as in could his most trusted senior advisor Mustafa Hamarneh actually owe his true allegiance to the king's opposition and could he have 'fed' his cousin, the now deceased Dr. Bashar Hamarneh, critical information to give to and aid the Israelis. Could the good doctor have been the 'middle man'...as in the go-between...between his cousin and the Israelis especially since his being the on-site residence's landlord would not raise eyebrows of the Jordanian authorities if he was seen conversing with Israelis living on the grounds. Remember, too much suspicion would be raised if Mustafa himself was ever caught on Israeli embassy grounds without Abdullah's knowledge. And could both men have been silently opposed to the king for a long time as both men are of Palestinian-Jordanian descent, and we know well that the Palestinians in Jordan are treated at best as second class citizens. Remember, while Abdullah politically speaks of the Palestinians plight, he personally wants nothing to do with what are his true blood brethren...the 'so-called' Palestinians living in Gaza and the West Bank...for to him better they live over there instead of in Jordan proper. To all that I say yes...the 'coulds' cited are indeed possible and I believe most likely are. Supposition I know but sometimes supposition is all we have when putting pieces of a difficult puzzle together...and sometimes supposition...educated supposition...does turn out to be truth. Now as for my alluding that the Jordanian military is not in Abdullah's corner...here I believe is why...while King Abdullah II supports and even funds ISIS the last thing he wants is ISIS overrunning Jordan forcing him out of power...forcing him to either leave the country in forced exile or face not too pleasant of consequences not only at the hands of ISIS but at the hands of the Palestinian-Jordanian people he and his government have treated for years as second class citizens as well...many of whom wear Jordan's uniform. 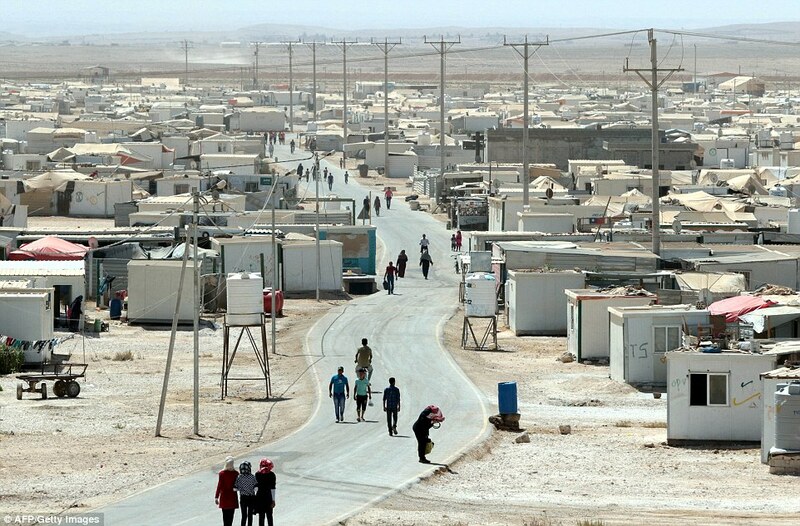 In fact, some in his army have actually joined ISIS...joined them because they have not forgotten that while Abdullah has welcomed more than a million Syrian refugees into his country he still refuses to repatriate the Palestinian-Jordanians living in the occupied territories back into their rightful homeland of Jordan...proving that ancestral blood ties are indeed thicker than royal Hashemite water. And Abdullah is a king who loves to spend more time out of Jordan than in Jordan. And know that Abdullah is a wealthy man...a very wealthy man...to the tune of a net worth of $750 million...and owns many homes around the world, meaning exile for him would be an exile replete with luxuries few of us will ever know. And one of those homes is right here in America...in Idaho in fact...where in 2015 and 2016 Abdullah participated in the Sun Valley Economic Forum held in Idaho. While there he met with several U.S. and international business people and presidents of leading companies, and discussed with them ways to enhance economic cooperation with Jordan as he felt all could benefit from opportunities and incentives that the “Jordanian investment environment provides,” as well as the trade agreements connecting Jordan with major global markets. And in his efforts to become an A-list world player, Abdullah also spoke of regional and international issues, prime of which was that the Syrian issue could only be solved through diplomacy...of course he did as Abdullah is a supporter of ISIS and dare not call for their total destruction. 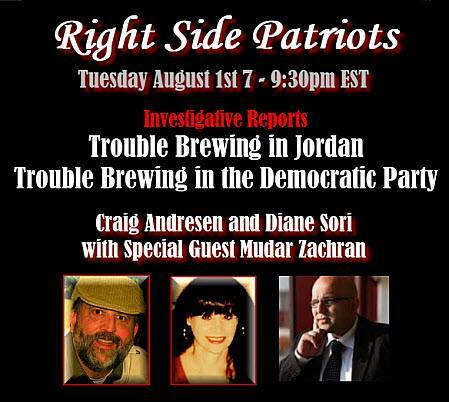 Please refer to the Jordanian Opposition Coalition's Secretary General Mudar Zahran's in-depth article showing said ties here: Jordan’s King Supports ISIS; YES, You Did Read This Right! And here's an interesting little side note about the king's Idaho home...a home that is actually a working potato farm...King Abdullah II is a major shareholder in the American snack company 'Frito-Lay' where two out of three of their potato chip bags produced and sold are made from potatoes grown on Abdullah's farm...and he gets monies from each and every sale. And Abdullah also profits from tomatoes grown in Mexico that get sold here in the U.S...just an example of more silent islamic intrusion into these United States...this time economic style by a man who relishes in being called the 'Warrior King' but who in reality is anything but. So now as tensions once again heat up in Jerusalem, as late this past Thursday afternoon new protests began in the Bab Hutta neighborhood in the muslim quarter of the Old City, when a gate leading from said neighborhood to the Temple Mount was closed. And while the gate was later opened allowing hundreds of muslims into the compound, the attacking of Israeli police on the Temple Mount continues on. 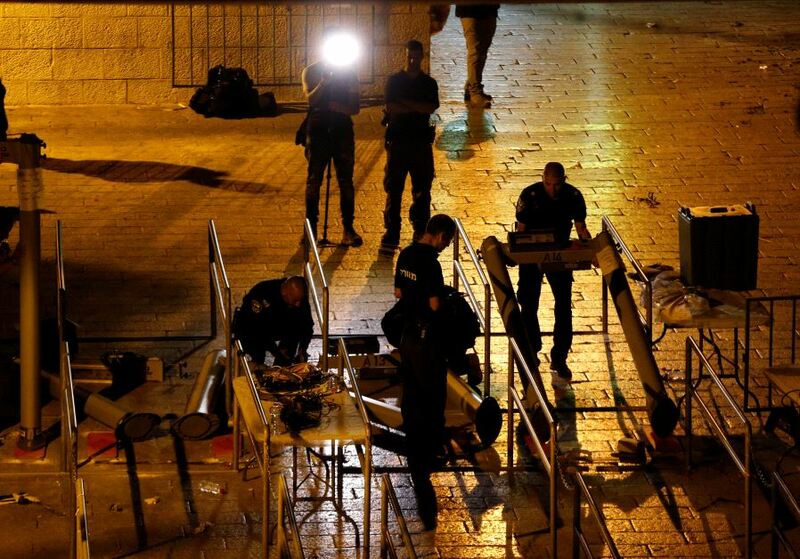 And this is even after, on Netanyahu's orders, the security cameras and metal detectors at entrances to both the Temple Mount and the Al-Asqa mosque were dismantled. And again who is custodian of this site and mosque...Jordan...whose king sits back and remains silent as focus is palace manipulated to shift back to media coverage of an angry mob still protesting at the evacuated Israeli embassy...the embassy where an a Israeli embassy officer rightfully shot dead a 17-year old Jordanian civilian...a terrorist youth on a mission possibly ordered by the king himself... a terrorist youth whose killer Abdullah now demands Israel put on trial. Shouting the words and carrying banners stating “Death to Israel'...just like the Iranians do...these protesters want the peace treaty with Israel torn up...simply because an Israeli bested one of their own terrorist kind...and it's all in a misguided show of a support for a king who could care less about them...a king who wants the tensions upped a notch in a much needed attempt to save both face and his throne from the very ones he supports...from the very ones who would so willingly kill him in a heartbeat if given the chance. And while this anything but 'Warrior King' remains publicly silent about the movements and people working behind the scenes to overthrow him and bring secular democracy to Jordan...for what are kingdoms but tyranny and subjugation dressed in flowing robes and golden crowns...Benjamin Netanyahu is sitting back with a smile on his face knowing well that his publicly perceived acquiescing to Abdullah to get his people safely home was anything but acquiescing for it was a clever maneuver to help show that Abdullah is not what he seems on the surface, and to make sure that Israel is long gone from the scene in Amman when the opposition does move forward in removing Abdullah from power. And mark my words it will happen...maybe it will begin in just as short as six months time...for King Abdullah II...except for support from the radicals...looses the Jordanian people's support by the day as he continues to stir the Palestinian pot in an effort to feed his own self-perceived importance on the world stage.